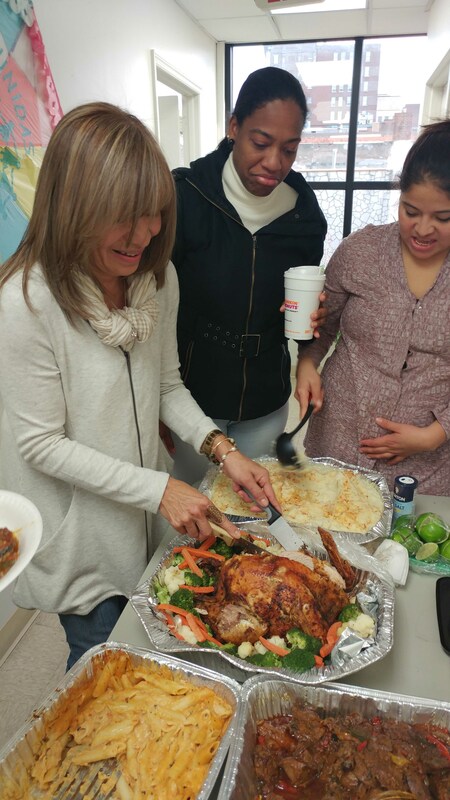 Our Latinas Unidas program had a special Thanksgiving celebration this year! 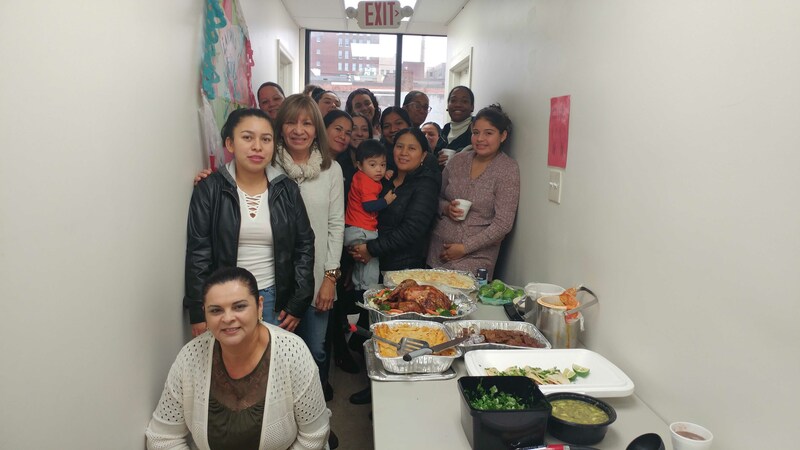 ESL students from different countries like Venezuela, Mexico, Guatemala, Dominican Republic, Puerto Rico, & Costa Rica, along with the staff and teachers of the program came together to celebrate the holiday. Students learned about Thanksgiving, listened to a Thanksgiving story, wrote what they were thankful for, at the end of class enjoyed a thanksgiving meal. Over 25 students and their families participated in the event and for some of them, this was their very first Thanksgiving!